This project began as an extensive outdoor renovation for owner John Love. 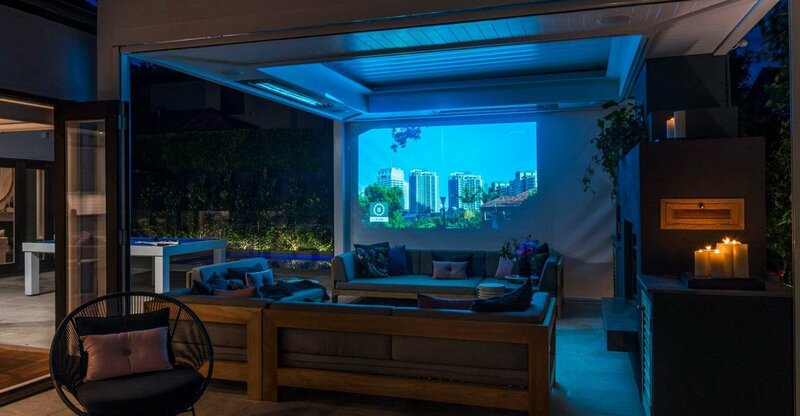 The original idea was relatively simple - create an outdoor audio zone with outdoor lighting that could be controlled from inside the house. After meeting with John and working through his initial plans, it became clear that a more extensive automation design was required to meet the family’s lifestyle requirements. Visual - John wanted an outdoor TV that was hidden when not in use. After some discussion we proposed a hidden projector located inside the pergola structure that would project onto one of the electric curtains that provide shelter in the pergola. Audio - The number of speaker zones grew from a couple of speakers to 7 outdoor audio zones. John then proposed we upgrade the inside speaker system so we added another 3 zones – which was a great way to make sure the adults and kids could watch and listen to their own programmes simultaneously. 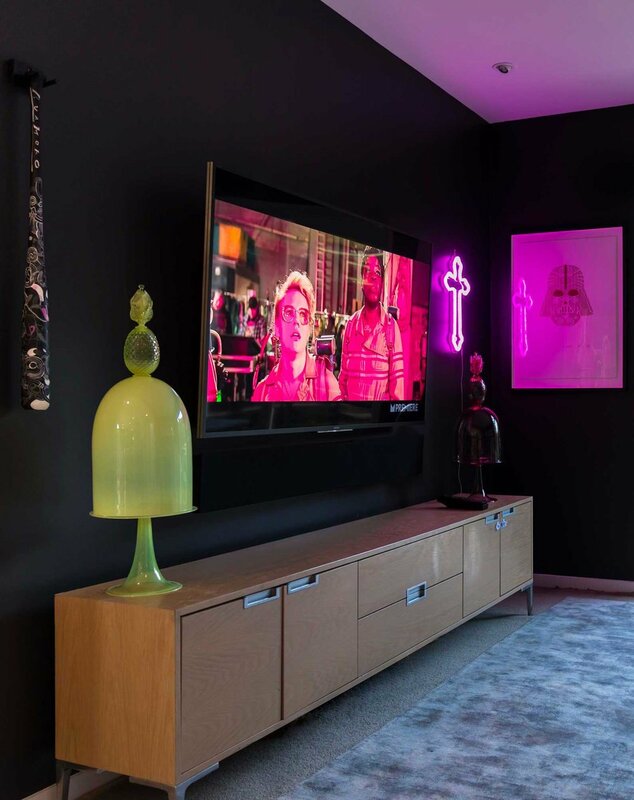 The TV room also got the full treatment with a high end custom sound bar, matching in-wall surround speakers, a hidden subwoofer under the TV cabinet, along with the Sony 65” TV. Lighting - At the front of the house we added control of the garden lighting, a new gate and an intercom system. 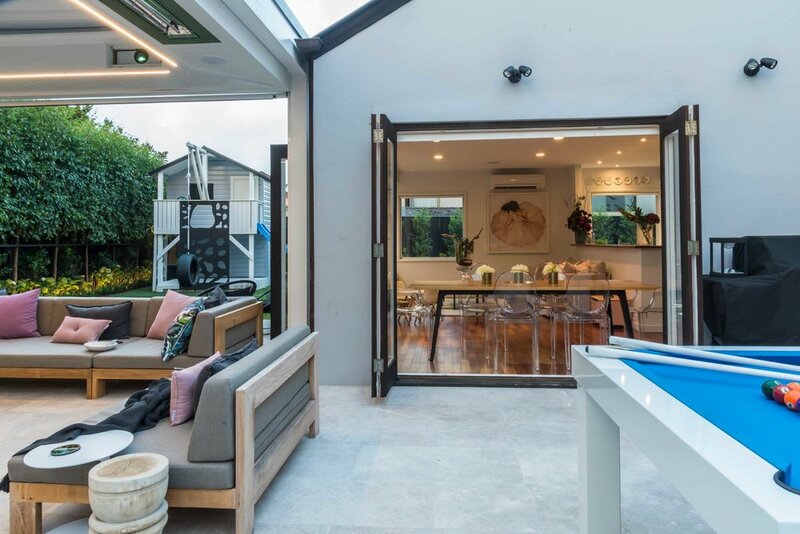 You could say the original brief blossomed into a larger project, and the result was a client who was over the moon about their new lifestyle at home. 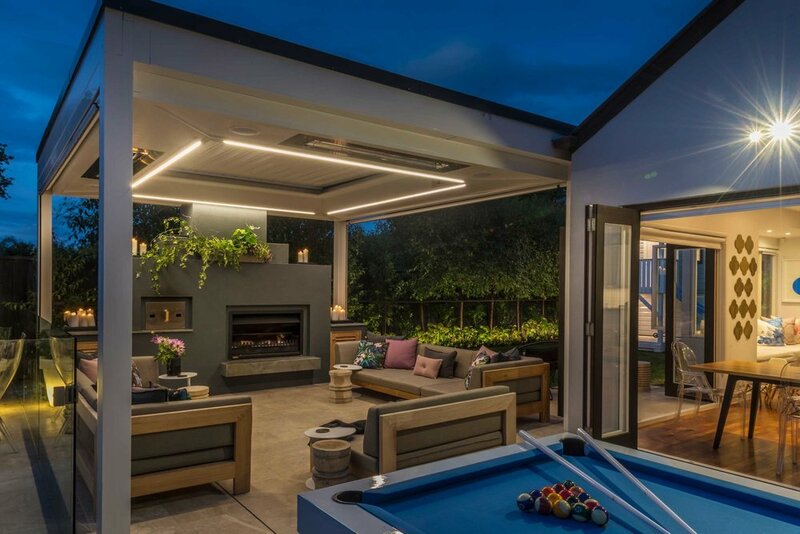 Full automation - A louvered roof and curtains were also added to the automation system, along with a motorised pool cover. We use Control4 as the main automated system, allowing John and his family to control the music and projector from inside the house, along with the lights and pool cover. Everything works like a charm, and the family couldn’t be happier. They now have a beautiful area to sit in on warm summer nights and watch movies together.